With the call rates lowest in the world and people shifting to apps like Whatsapp from messaging, the telecom sector needs to come up with innovative Value added services (VAS) for people to use and generate revenues for the company. Videocon has come up with a new mobile VAS in the health department. Videocon Telecom has launched a new and specialized service for its Subscribers. 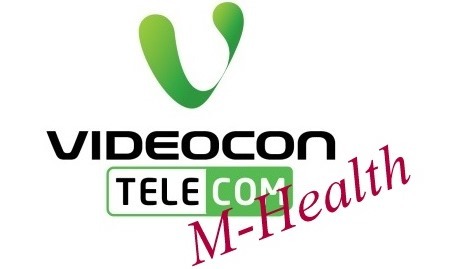 An Ayurvedic Mobile service, M-health has been developed by Videocon Telecom in collaboration with JIVA Ayurvedic Group. The idea is to offer specialized Ayurvedic treatment to users. With this service the subscriber will have round the clock access to Ayurvedic doctors on call at 535133. The call rates are hefty though at Rs. 6/min. I do not think that many people will be heavily inclined to use this service at such call rates. Along with this, Videocon has also partnered with Think Health Services. This means that the subscribers can speak with a certified Ayurveda Expert for their health issues and would get appropriate treatment advice. The users then can order the prescribed medication as well directly and these medicines will be delivered to their homes. This service is managed through Ayurvedic Telemedicine Center (Asia’s largest) with a panel of over 150 doctors and the access will be to about 1300 cities. Also, the sale is our favorite, Cash-On-Delivery basis. In the words of Arvind Bali, Director and CEO, Videocon Telecom- “We are pleased to roll out the M Health service for our subscribers. Ayurveda is not just a treatment but a way of life which helps maintain one’s health from the outset. With the launch of this service, we seek to bring convenience and affordable healthcare services to our consumers.. In my opinion, this is a little high end service. The call rates are pretty high and Ayurvedic Medicines are not as cheap as usual medicines. Videocon here is not trying to create new Ayurvedic users but only trying to capitalize on the one who already exist. What is your take on this service? Will it fly? Mobile Number Portability: Top 7 Reasons to ditch your Mobile operator!